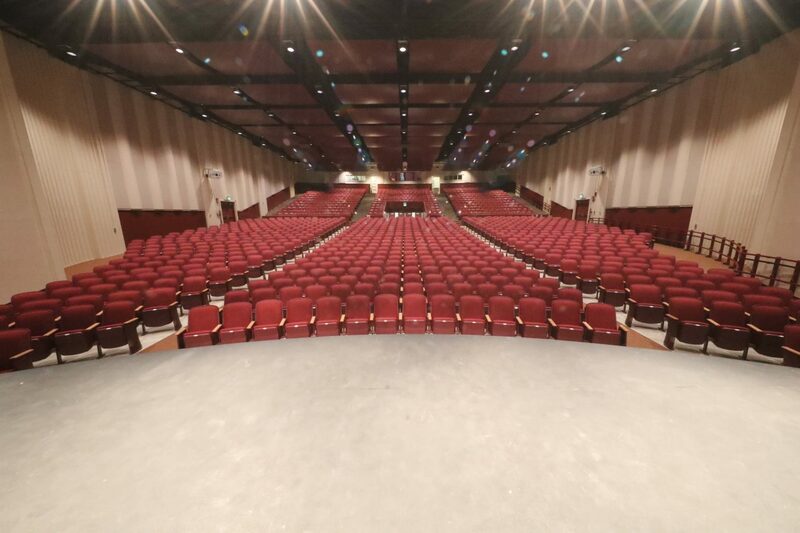 Farrington High School Auditorium Repair | | Nan, Inc. 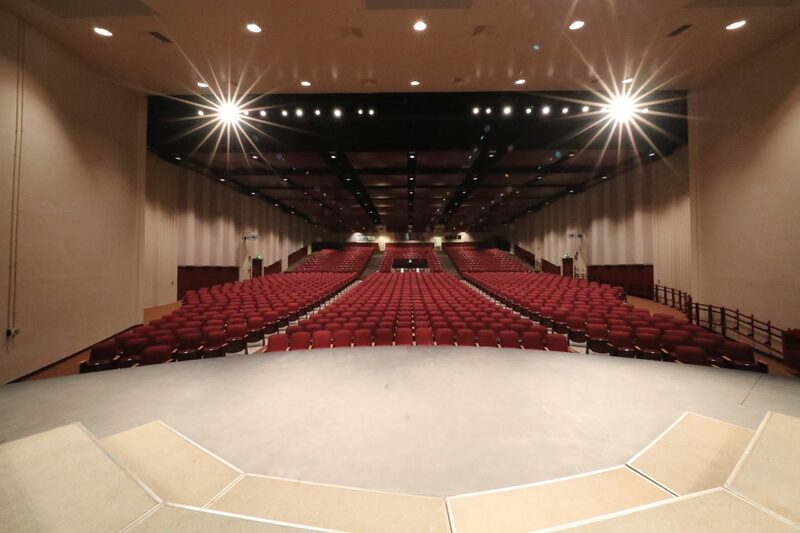 Originally constructed in 1954 The Joseph Rider Farrington Community Auditorium has been the center of Kalihi’s community hosting performing arts, church events, and school functions. 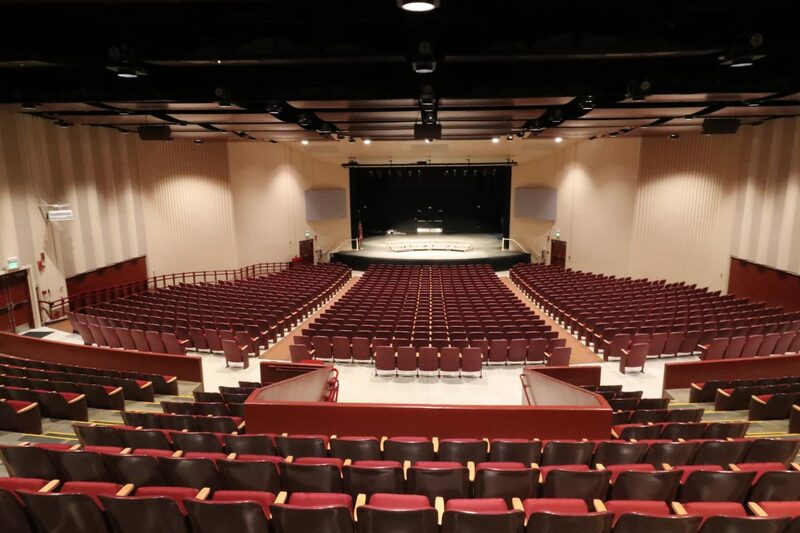 After heavy rains prompted a roof collapse in 2012 the Auditorium quickly became a part of the schools master development plan. Located along North King Street the renovation involves the construction of a new media studio, structural steel improvements, stage rigging, theater lighting, and an imposing audio visual system. 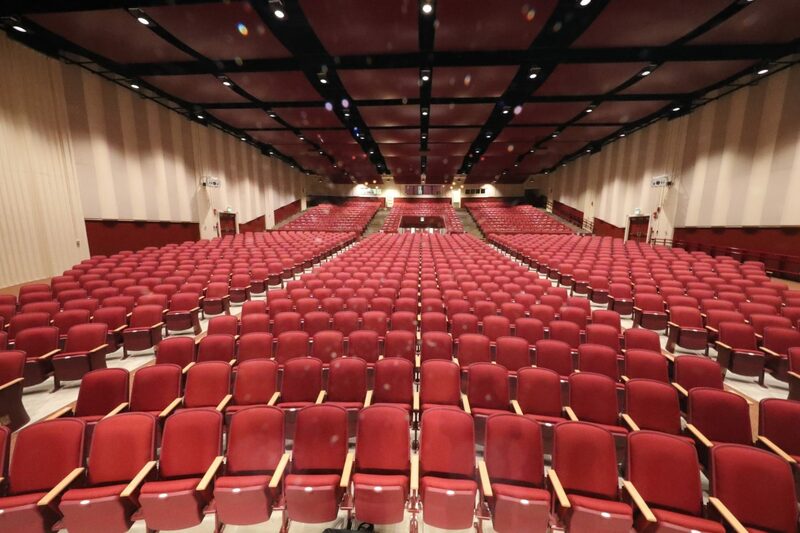 Complementing the audio system are Acoustical Ovation Panels hung from the ceiling in a cloud formation directing sound to a seating capacity of 1,256. The walls are lined with radial molded gypsum panels and fabric covered fiberglass. To comply with the American with Disabilities Act (ADA) the restrooms will be renovated, new ramps will be installed and five wheelchair lifts will allow access to all levels.